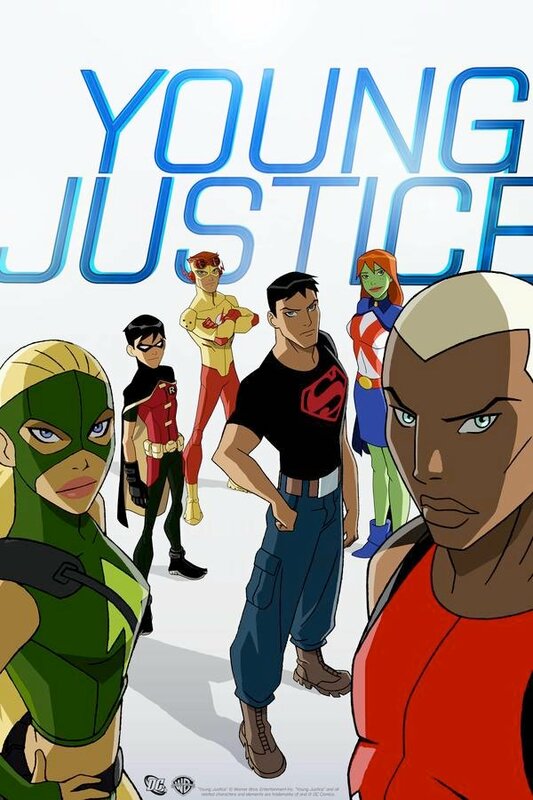 Considering it first started slipping out onto the net back in early February, DC's done an awesome job of keeping the rest of the new Young Justice animated series, coming soon to a Cartoon Network near you, under wraps until now - Thanks to DC's Source Blog. Superboy, Robin, Kid Flash, Miss Martian, Aqualad, and Artemis (a new mantle for what looks like Arrowette) make the grade, while Wonder Girl misses out again on landing in the starting line-up. Hopefully there's not too much red-tape behind that judges call, as although Miss Martian is a really sweet choice, Cassie (or even Donna Troy in the old red and gold) would really get the party started. Still who knows what's ahead, with 'certified hit' written all over it, and an awesome illustration style to boot, this is one merchandising beast, set for everything from bed-sheets to books as we speak. I'm really looking forward to this cartoon! I suspect Artemis is going to be Mia/Speedy. Could be wrong, but that's my guess.